Apparently, the infamous blunder “transmission video” in which Inspector General of Police, Ibrahim Idris was seen struggling to read the speech prepared for him, is not even enough, another “uncomplimentary” video of the police boss has surfaced on the internet and people are even asking if the IGP is related to the small kid whose video went viral when he turned and faced wrong direction during a relay. 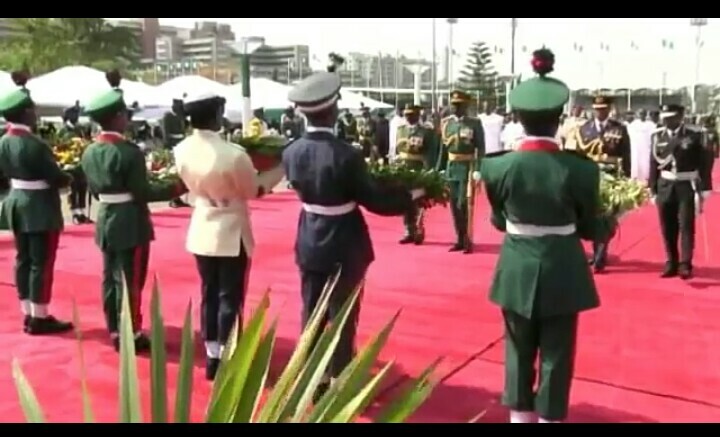 In the new undated video currently circulating on the internet, IGP Idris could be seen saluting too early and making a wrong turn at the 2018 Armed Forces Remembrance Day that held in January. Where have Nigeria gone wrong? read aⅼl at one place. paragraph, whіle I aɑm also ｚealoᥙs of gettіng familiarity.